State lawmakers need to hear from the public that doubling down on Obamacare's coercion model is a mistake. The federal tax cut signed into law last week eliminates the federal penalty for not having health insurance, starting in 2019. That's good news for those who've been buying Obamacare to avoid the penalty, and even better news for those who've actually been paying the penalty. But don't start celebrating yet. In New York, California, Maryland, Connecticut, New Jersey and other deep blue strongholds, the insurance industry and left-wing activists are agitating to enact state penalties to replace the soon-to-be defunct federal one. Ouch! Six-and-a-half million filers paid the federal penalty last year, including approximately 400,000 right here in New York, and 60,000 in neighboring Connecticut. The penalty payers largely earned less than $50,000 a year. They paid the penalty because they found Obamacare unaffordable. But paying the penalty also hurt. It averaged $470. Getting rid of that penalty will be a sizable tax break for them. But tell that to insurance companies already lobbying in Albany, Sacramento, Hartford and other capitols for a state penalty. They're looking out for their own interests. What could be sweeter than a law requiring consumers to buy their product or get whacked for not buying it? State lawmakers need to hear from the public that doubling down on Obamacare's coercion model is a mistake. Paul Macielak, president of the New York Health Plan Association—lobbyists for insurers—insists "New York's individual market must be protected." What he means is that without a penalty, many healthy people will say "no" to Obamacare's high premiums and drop out of those plans. How about protecting the millions who finally will get relief from the Obamacare penalty? If the choice is between propping up the current, coercive system or giving individuals freedom to choose, lawmakers should know the right answer. Don't kowtow to lobbyists and Obamacare activists. Listen to the public. Some want less expensive plans with fewer bells and whistles. Women over 50 shouldn't be forced to pay for maternity coverage or breast pumps, and couples without kids shouldn't have to buy pediatric dental coverage. Forcing them to buy a standard health plan is like telling car buyers they have to settle for a four-door sedan, no more hatchbacks or convertibles. It presumes they're too stupid to choose for themselves. Relatively healthy people want lower premiums, which have more than doubled in the individual market since the end of 2013. 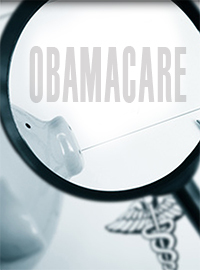 Blame Obamacare's one-price-for-all rule for more than half those premium hikes. Obamacare plans charge the healthy the same premiums as people with pre-existing conditions, whose health care costs are 10 times as high. The healthy pay sky-high premiums and never meet their deductibles. Instead their premiums foot the bills for the very sick. A rip-off for most people. As for protecting people with pre-existing conditions, that can be done by separately funding a high-risk pool for the sick out of general tax revenues. That will spread the burden broadly, instead of foisting it entirely on the small number of buyers stuck in the individual insurance market. Last fall, the Trump administration relaxed federal health insurance regulations to allow consumers more options, including short-term plans that exclude many costly services, such as maternity care and inpatient drug rehab. They're not guaranteed renewable, but the upside is very low cost. The Obama administration had slammed the door shut on these plans, limiting them to 90 days in order to force people into Obamacare no matter how unaffordable. Trump lifted the 90-day rule. Now with the federal penalty gone for not having Obamacare, industry experts expect the demand for these more affordable plans to soar. That is, unless state lawmakers put the kibosh on choice by imposing their own penalty. These lawmakers have to answer the fundamental question — Whose side are they on: The consuming public or the insurance companies?